This ladder is a GLOBAL LADDER, which means anyone from any region may play on these ladders. 1. In a best of 3 search and destroy only, the lower ranked team will host first map, the higher ranked team will host second map, and if the match needs to proceed to third map to determine a winner, the team with the most number of ROUNDS won from the two previous maps combined will host third map. In the event of a tie in rounds won, the higher ranked team will host third map. 2. In a best of 3 Hardpoint or Uplink only, The team with the highest combined score from the previous two maps will host third map. In the event of a tie in scores, the higher ranked team will host third map. 3. In a best of 3 variant gameplay, the lower ranked team will host first map, and the higher ranked team will host second and if required third map as well. 4. In a best of 5, the lower ranked team will host first and second map whilst the higher ranked team will host third, fourth, and fifth map. This stands for any map and mode. 5. If a team disagrees with the connection, the hosting team must switch hosts until a reasonable host is found. Teams cannot deny such request without risking an automatic forfeit of the map. Your team is to acquire proof of requesting a host change and the opposing team denying your request and should leave immediately after acquiring such proof and is to submit a Ticket with that proof provided. 1. 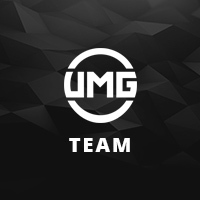 Players from Arizona, Connecticut, Maryland, and Quebec are not eligible to receive any Prizes from UMG Online and cannot compete in Cash Out Matches or Tournaments. If rules are found incorrect, the hosting team risks being forfeited. Players found to be using Custom Squads and editing player ratings will instantly forfeit the match.